UPDATE: Get complete, up-to-date coverage of the BoP with our 2013 Battle of the Paddle mini site. The Battle of the Paddle, the biggest and most prestigious event in the sport of SUP racing, has selected its dates for 2013. The 2013 Battle of the Paddle CALIFORNIA will be happening the weekend of September 28th & 29th at the usual spot: Doheny State Beach, Dana Point. The 2012 BoP was a record breaker after 200 paddlers entered the Elite Race and over 400 competed in the Open Race, with the latter officially scoring the title of “largest ever SUP race” from the Guinness Book of World Records. The 2013 Battle of the Paddle should be even larger and word is the organisers are working hard to take things to the next level this year, particularly in terms of sponsorship and promotion. The 2012 event skipped the traditional webcast in favour of a cable TV production. The fruits of that decision are expected to be realised in the coming weeks, as the BoP organisers seek to close a major TV distribution deal. That would put the Battle in front of millions of new SUP fans and would massively boost the profile and legitimacy of our sport. The BoP set the tone for SUP racing with its first edition back in 2008 and still continues to lead the way. 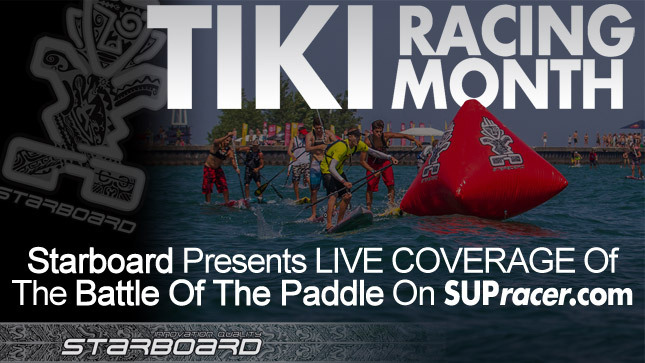 We can’t wait to see what Battle of the Paddle 2013 has in store, so stay tuned to SUPracer.com for all the latest BoP news.